It's All In The Pressure: Portable Pressurized Shower Head | OhGizmo! By David Ponce on 06/20/16 • Leave a comment! Just ask Cosmo Kramer, and he’ll tell you: the secret to a good shower is decent water pressure. 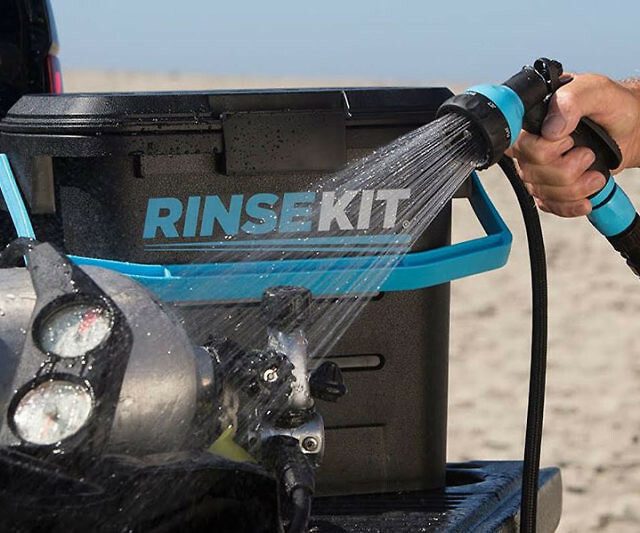 What’s impressive about the RinseKit Portable Sprayer is that it uses no electricity, and no batteries to give you up to 65psi of glorious pressure just about anywhere you take it. You fill it with up to 2 gallons of hot or cold water, and an internal bladder keeps it under pressure, ready to use whenever you need it. 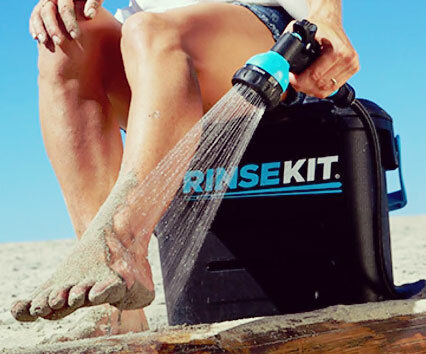 The spray nozzle offers 7 different settings, from jet stream to soaking water, and makes it really easy for you to do things from taking a shower while camping, to rinsing off your tools and equipment after you’re done with them. 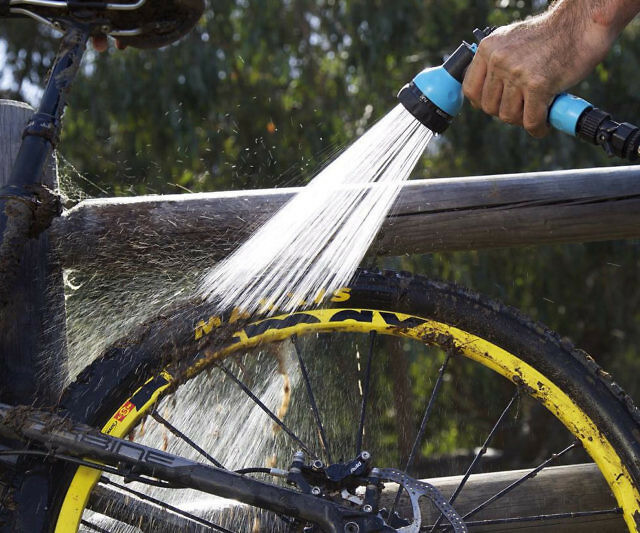 It can continuously spray for up to 4 minutes, although we suspect it doesn’t do so at the highest pressure setting. Still, at $160, it seems like a great item to get the outdoors enthusiast in your life.